Within 24 hours of contacting Millenium Metals via email, we will answer your request to have one of our bins for your scrap metal waste. 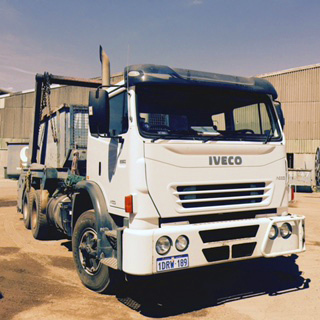 We provide bins from 8 up to 22 cubic meters, to cater for even the largest scrap removal requirements. Tracee will discuss your needs & give you individual service that you will not find anywhere outside of Millenium Metals, Naval Base! 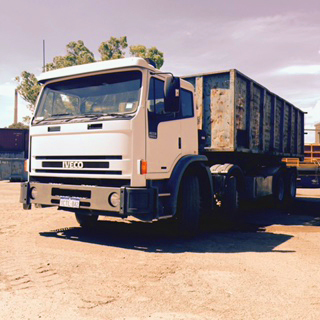 Millennium Metals can also provide other types of transport, including skip trucks, flat top trucks with hiabs and semi-trailers as well as double or triple road trains for large clean ups around country WA. Tracee Butts has been with the company for 3 years & is pedantic when it comes to customer service. If she doesn’t know the answer to your question, you can be certain she’ll find out & return to you shortly thereafter. You won’t find a better skip bin service anywhere! 2019 © Millenium Metals. All Rights Reserved.